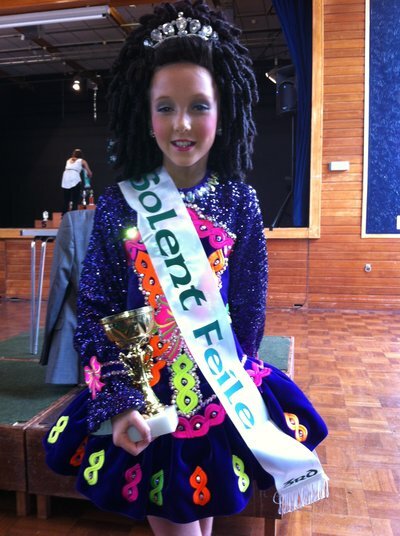 Siopa Rince 2012 purple dress with striking, vibrant rainbow colours and bows. Less than a year old. Excellent condition.